Falsely Accused of Child Abuse in a Divorce? If you are falsely accused of child abuse in a divorce within the State of California, step one is reading this article and step two is calling us. After all, it’s not that difficult to “make” an allegation. It takes a declaration under oath and a description of the abuse. Stop stressing. Our lawyers know how to win child custody cases that involve false allegations of abuse. Too many times, allegations of child abuse amount to he said, she said situations, especially when the child is young and unable to speak for him or herself. California’s public policy states that children must have frequent and continuing contact with both parents. One of the exceptions to that rule is when allegations of abuse or neglect are made by one parent against the other and those allegations are found to be true by a preponderance of the evidence (commonly called the “tipping of the scales” or a “51% standard”). But what if that burden of proof is not met? Does the parent who was falsely accused of child abuse in a divorce have rights? Can the parent who was falsely accused of child abuse in the divorce obtain custody of the child or children as a result? What about the attorney fees spent by the parent who was falsely accused? These are the questions that we help answer in this article. 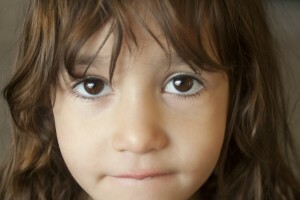 If a family court finds that a parent made a false allegation of abuse or neglect, the court can order supervised visitation or limit the accusing parent’s custody or visitation so long as it finds by substantial evidence that the parent made the allegations with the intent to interfere with the other parent’s lawful contact with the child. This includes reports of physical abuse that were made in bad faith as well as reports of sexual abuse that the parent should have known or knew or false at the time they were made. Parents who are falsely accused of child abuse in a divorce, especially those who have been repeatedly accused, may find that is the only way to put a stop to the allegations. The burden of proof that an allegation made is false is not a small one. Courts cannot order supervised visitation or limit a parent’s rights in the event of a false allegation of abuse if the allegation was based on a reasonable belief that the child or children were in fact being abused and especially if that abuse was corroborated. In other words, just because the family court did not find an allegation to be true does not automatically mean there was substantial evidence the allegation was made with the intent to deprive the other parent’s lawful contact. The person who claims the false abuse has the burden of showing the falsity. In such situations, the first question is who is making the abuse allegations? Is it the child? Is it the parent? Is it a third person? In addition to the family court’s discretion to order supervised visitation or limited visitation, the court could also order reasonable monetary sanctions against a parent who made the false allegations of child abuse in a divorce. The sanction cannot exceed the entire cost that was incurred by the falsely accused parent in defending the accusations. This cost includes reasonable attorney’s fees incurred in defending the allegations as well as the fees incurred in seeking the sanctions. The sanctions are generally sought by the falsely accused parent against the accusing parent by filing a formal request for order and laying out for the court the facts that show the nature of the false allegations. It’s important to note that to seek the sanctions under California Family Code 3027.1 (the code section that authorizes these sanctions against the parent who made the false allegations) or family code section 271 (for causing unnecessary litigation), the court need not have found the falsity of the allegations in the underlying custody hearing. It is enough to show that the wrongfully accused parent prevailed at the underlying custody hearing and the falsity can be showed during the sanctions motion. There are time limitations that are governed by both statute and case law so if you intend to bring such a motion or you are facing such a motion, it is important that you know the time limitations involved. Some believe there is a guilty until proven innocence standard by family law judges. That isn’t necessarily true. Family courts can be conservative and err on the side of caution in the beginning when such allegations are made, but that is exactly why an experienced Orange County child custody attorney can help you. 6. Working closely with the Orange County child protective services agency, if they are investigating the allegations. Having the right child custody lawyer can make a significant positive difference in your case if you are being falsely accused of child abuse in a divorce. Does that sound like your case? Contact us for an affordable strategy session. We have offices in Orange County and Los Angeles. When Is Counseling Ordered in California Divorce and Custody Cases?